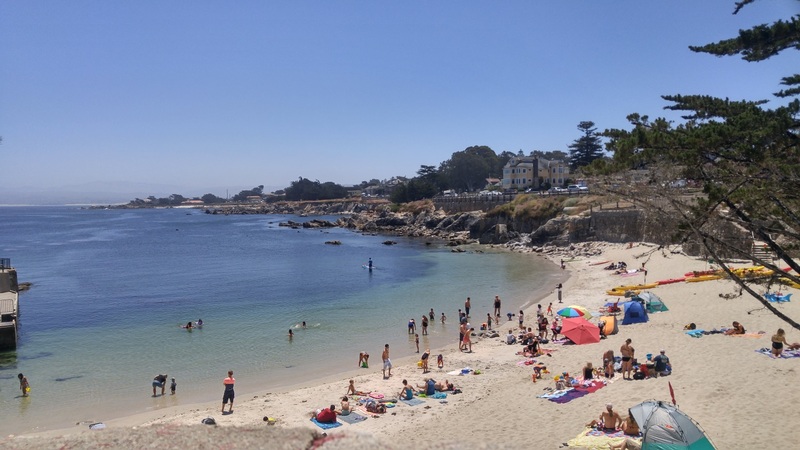 In early July, we were invited to visit the beautiful town of Monterey, California where the Emmy-nominated HBO series Big Little Lies was filmed. If you've seen the mini-series you'll recognize the backdrop where Jane (Shailene Woodley), Madeline (Reese Witherspoon) and Celeste (Nicole Kidman) are running on the beach or the infamous Bixby Bridge as seen in the opening credits. A select group of press from the U.K., Germany, Mexico, Spain, Australia, Los Angeles and Canada enjoyed the panoramic view of beautiful Monterey Bay from the InterContinental The Clement Monterey, a mere 20 minutes away from Monterey Regional Airport. Overlooking the sapphire waters of Monterey on Cannery Row, this waterfront hotel, resort and spa was our home for four days. On the first day, we headed to Lovers Point Park and Beach. The Lovers Point State Marine Reserve served as the glittering backdrop of the scene in which Madeline and Jane meet for the first time over a sprained ankle. This beach was my favorite spot, as the clear blue waters and glistening sand made this location a great place for families to relax and enjoy the view. This scenic location was also used for filming the scene in which Jane takes Ziggy for a little picnic on the beach. And how can we forget? The awkward meeting between Nathan (James Tupper) and Ed (Adam Scott) actually took place at the Lovers Point Park. After taking in the view, we went kayaking to give us a better view of the Lovers Point State Marine Reserve. As we cruised across the glistening water, I was excited to see pods of dolphins swimming by, sea lions basking in the sun and harbor seals on the rocks. These marine animals are a familiar sight in and around Monterey. At lunch, we went to Paluca Trattoria, a family-owned and operated Italian restaurant offering mouthwatering food, boutique wines, craft beer and a casual atmosphere in Old Fisherman’s Wharf. This restaurant was the inspiration for the set design of the fictional Blue Blues Café. This is the same café where Madeline, Celeste and Jane commiserated over their personal dramas. You can see the gorgeous view of the sea and the boats, often seen as the backdrop at their lunch meetings. Here's an interesting fact: the café scenes were shot at a studio in L.A. and a green screen featuring the Wharf was used in the backdrop. We then visited the non-profit Monterey Bay Aquarium, whose mission it is to inspire ocean conservation. This is where the scene was shot in which Jane took Ziggy to see penguins, sea otters, jellyfish, stingrays and more. Nearby the hotel and aquarium was the famous Cannery Row -- a quaint little area for shopping that offers a glimpse of the old Monterey Bay fisheries. 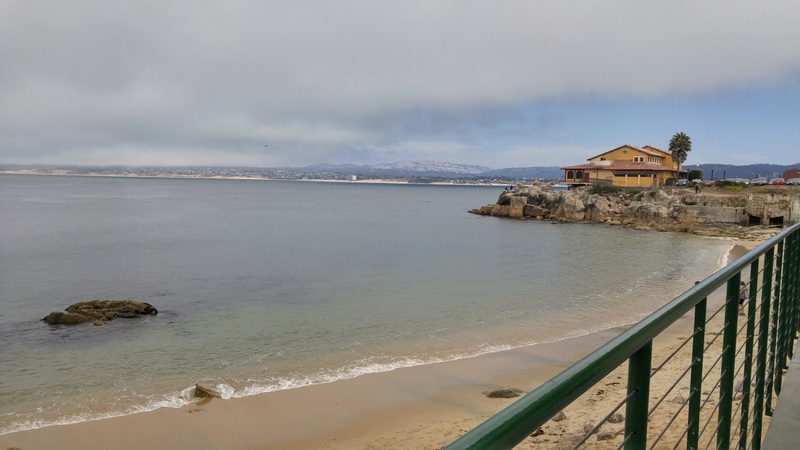 A recommended stop is the Cannery Row Monument, which gives a sweeping view of Monterey Bay and if you're lucky, you might spot sea lions or sea otters. The next day we went on a hike at Point Lobos State Natural Reserve. Three miles south of Carmel, this reserve is considered the "crown jewel" of the California State Park system. You can experience breathtaking views of the Pacific and spot wildlife along the North Shore trail at Cannery Point. Jane was often seen running along this beach. The turquoise water in a little cove near the cliffs offered a gorgeous view and was well worth the hike. Several of the scenes of crashing waves and misty shores were shot at the Garrapata State Park Beach in Big Sur. It symbolized the chaos in the lives of these Monterey women. You’ll enjoy huge waves as they crash on the rocks of this beach shoreline -- chasing these waves was my guilty pleasure. The scene when Jane almost jumps off the cliff was filmed here. The iconic Bixby Creek Bridge on Highway 1 was an exciting stop. 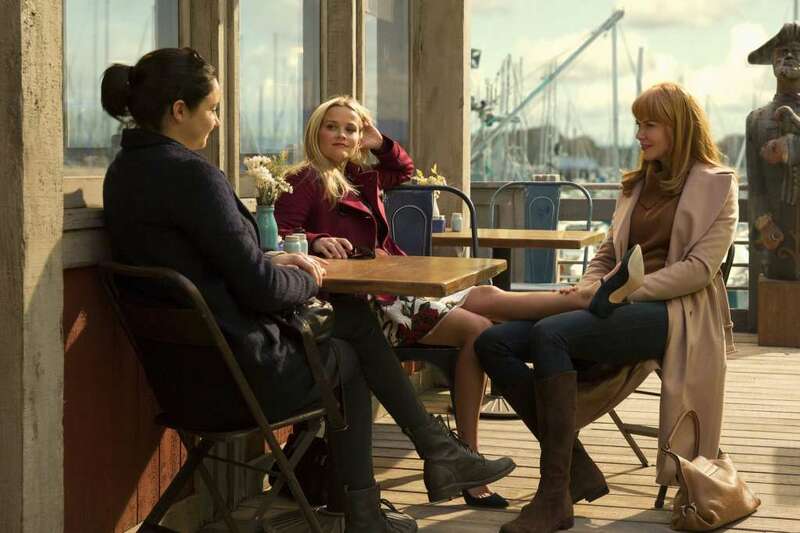 The Bridge has made appearances on the big screen and most recently, in the opening credits of Big Little Lies. You can park in the designated pullout area and snap panoramic photos of the famous Bixby Bridge while taking in a gorgeous view of the ocean -- a classic Big Sur shot. Of course, I had to take a classic scrapbook-worthy photo here. Check it out in the gallery below. At lunch, we visited the Folktale Winery, nestled in beautiful Carmel, just five miles from the Pacific Ocean. Situated on sustainable farmed vineyards and gardens along the Carmel River, Folktale Winery is an idyllic setting to enjoy the great wines and hospitality of Carmel Valley. A must-see is Del Monte Beach, a few feet away from Fisherman’s Wharf. It’s a perfect spot to relax, go kayaking or simply take in the view. Big Little Lies fans will recognize the long, sandy beaches filmed here. Celeste, Jane and Madeline were often seen jogging along the shore of this beach. This is also the beach that was used to film Jane's flashback scenes. The last stop before our trip came to an end was a tour of the luxury homes in Carmel and Pebble Beach that most resemble Perry and Celeste’s exquisite mansion. We visited the $14 million Oceanfront Contemporary Home in Carmel-by-the-Sea, which is nestled in Otter Cove and has a private beach. It was cozy and has a direct view of the lake from the living room. Dream house, perhaps? Another gorgeous mansion was a $44 million Pescadero Point Ranch Style house on 17 Mile Drive in Pebble Beach. This gave us a true taste of the kind of luxury home occupied by Celeste and Perry. 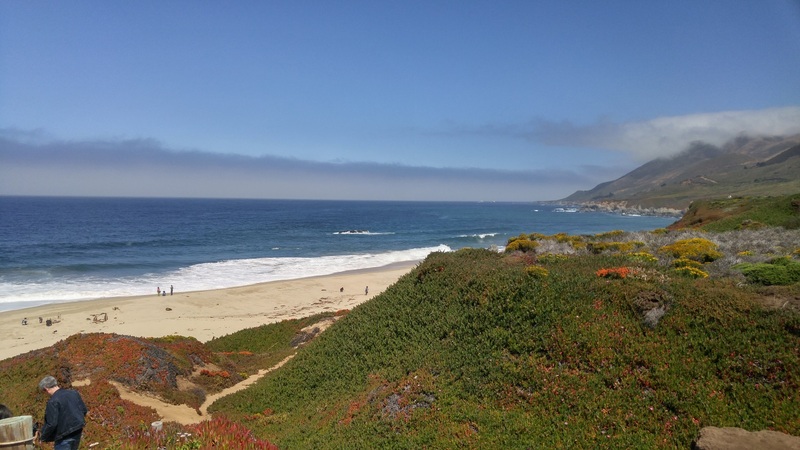 The best way for visitors to take in the view of Carmel is by visiting the Hyatt Carmel Highlands Hotel. It gives a breathtaking view of the coast. Big Little Lies is available now on Blu-ray, DVD and Digital HD. Click here for our filming locations photo gallery and click here for our review of the series. Loved Big Little Lies and can't wait for season 2. Was in Monterey, Carmel and Big Sur for a week this past September. Did not want to leave, and loved being able to recognize so many locations in the show. Thank you for this detail.